When you’re ready for a new kitchen, there are so many decisions to make. The first one has to be the scope of the project: will you tear everything out and do a complete remodel, or can you keep some of what you already have? Do you have the budget to do a complete remodel, or would a significantly smaller project be better for you? The good news is that no matter what you decide, you can have a beautiful, stylish kitchen that you love. Let’s examine your two choices a bit more to see which one might be right for you. 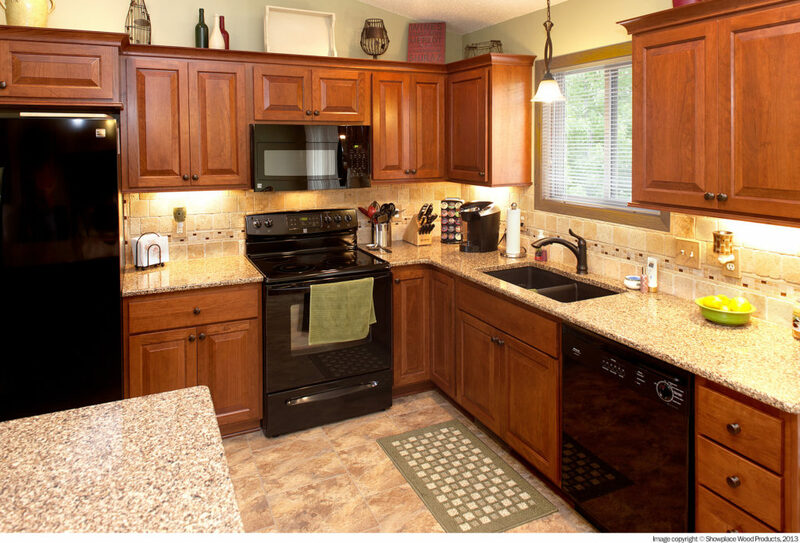 Example: Kitchen Remodeling or Refacing. You have time for a longer construction process. You have a larger budget. A full remodel is a wonderful way to get a fresh start and create the kitchen of your dreams. Your current cabinets are structurally sound and have sturdy frames. Your current cabinets are meeting your needs. You need to finish the remodel within a few days. A full remodel isn’t practical or affordable. A kitchen refacing project may just fit the bill for getting you an updated kitchen that you love, that will work for ten years or more, while saving you the time, expense, and disruption of a full remodel. Luckily, your project may be able to incorporate both solutions. If you are leaning towards refacing, but you have a problem area that needs to be replaced or repurposed, a new cabinet can be installed there while the rest of the cabinets remain. In both cases, your choices are nearly limitless. You can choose from many door styles, woods, finishes, accents, colors, accessories, and more. Check out some of the options here. Ultimately, neither choice is better than the other. It really comes down to your personal taste and situation. We’d be happy to meet with you to determine if kitchen remodeling or refacing is an option for you. In either case, we are happy to help you design your new kitchen.